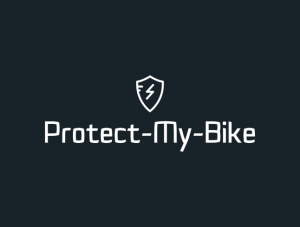 Protect-My-Bike's mission is to completely eliminate the annoying problem of stolen bicycles. Integrated approach: location tracker of new generation (battery lifetime of over 7-8 years, fixed in frame, low cost) and integration into police systems. It can also be called: "LoJack for bicycles"
There are about 100 mln bicycles in USA and 200 mln in Europe. Assuming each of them pays us $1 per month, this is a $3 bln dollar market opportunity in recurring revenues. About 1.5 mln bicycles are stolen in USA per year; in Europe this value is twice as high. There is no reliable solution: locks and chains are easily broken by thefts; while current generation of trackers, which use 3/4G connectivity, require regular charging and cannot be fixed in frame. As a result thefts easily break or remove such trackers. Police is typically very busy with more important crimes. They also don't trust existing generation of trackers as, from their experience, such trackers typically lead to garbage bins. Our solution is an integrated approach, including 1) a location tracker of new generation and 2) integration into police systems. Our location tracker utilizes narrow band connectivity to access internet (NB-IoT network was launched in USA only in August 2018), therefore batteries last for 7-8 years without charging. That allows firmly fixing such trackers in bicycle frames so that thefts are unable to break or remove them. At the same time to plan to closely work with law enforcement agencies across the USA, installing bicycle tracking equipment in their police cars, just like LoJack did to trace stolen cars. This will allow automatic detection of stolen bicycles by police officers immediately after receiving a report from the bike owners. 5. Police support: we will integrate into police car computers enabling immediate notification of police in case the bicycle is stolen and providing location information. We will sell trackers at cost ($20 per unit) and will make a margin on the subscription fee ($1-2 per month). Our cost (payment to T-Mobile) will be only $3-6 per year. This is an elegant solution to a HUGE problem. Links to police is key advantage. Seeing your roadmap very impressive. Are there any women on your global team? Add some there and to the advisory board. Going beyond bikes to other high value assets is very clever. Can you use AI to make the tracking kikes and and capture of bike thieves more efficient?